It is a privilege to produce wine from this special place and share it with you. You'll be transported when you motor through the gates of our cellar door. Open Tuesday to Thursday 11am-4pm, Friday to Sunday 11am-5pm. You’ll discover warm hospitality at our relaxed cellar door perched above an ever-changing landscape. Be guided through a wine tasting, share a regional grazing platter, homemade cakes and coffee. Select distinctive handcrafted single vineyard wines to enjoy at home. Experience the captivating natural beauty of the Dookie Hills, fireside or out on our relaxed deck. The Rock Correa walking track ( Approximately 1 hour return) from the cellar door offers a chance to take in breathtaking panoramas. 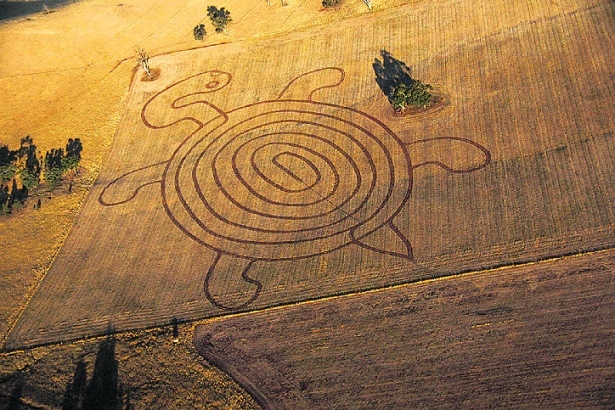 Whatever time of year you visit, the Tallis landscape will have put on a show. On the bridge of winter and spring the canola uplifts with parcels of iridescent splendor. 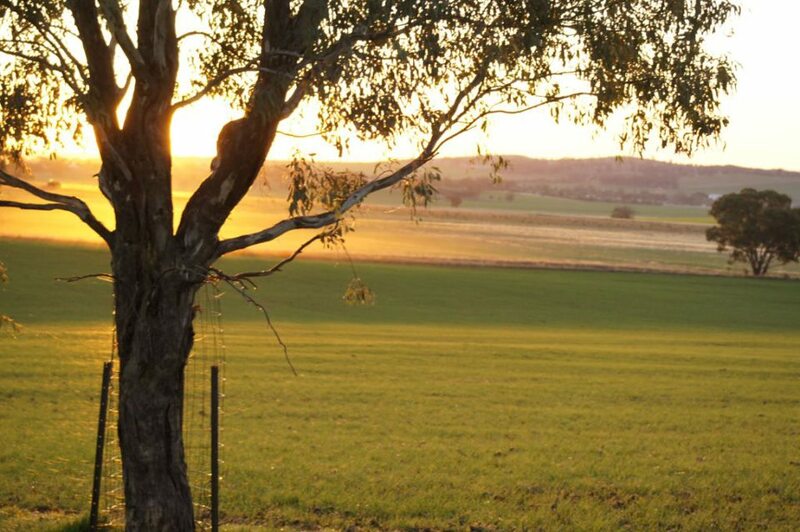 A classic Australian pastoral scene awaits you in summer with fields of golden wheat. 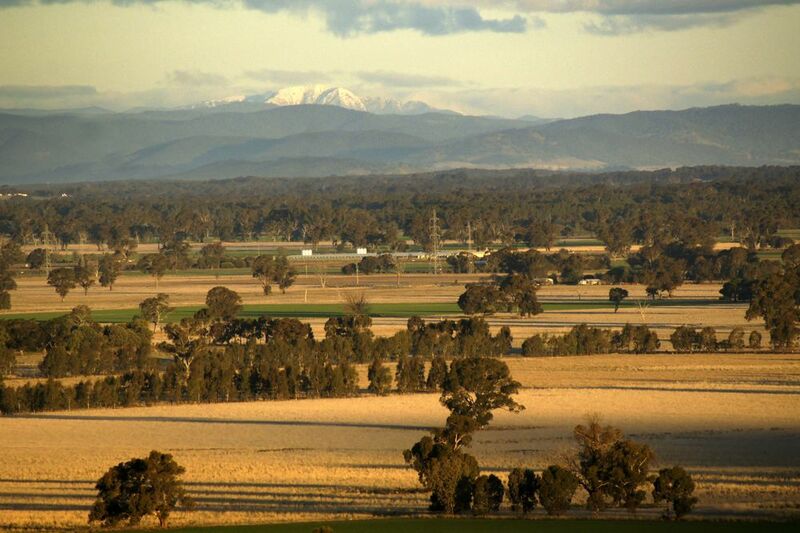 On a clear day in winter, you can see the snowy peaks of Victoria's Alps. The hill in front of our cellar door has a Trust for Nature covenant. Wildlife abounds here so keep an eye out for a shy wombat or echidna, or one of our hardy scaled friends including lizards, snakes and goannas. Twitchers will delighted in eagles, hawks and striking parrots. 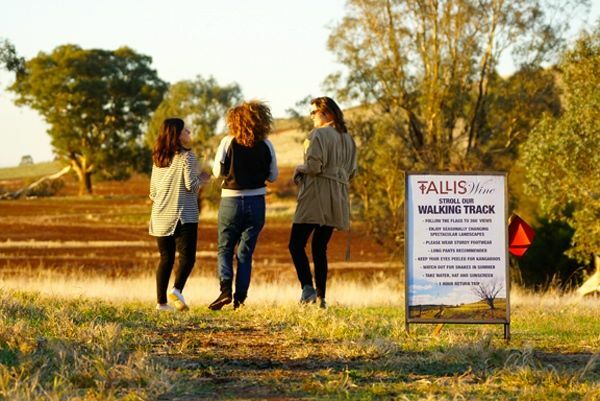 If you choose to set off on our walking track (which rewards with breathtaking 360 degree views) you'll bump into the mob of resident kangaroos. Broadacre farming, the seasons and nature combine to produce a textured, colourful patchwork which blankets the ancient Cambrian dirt. 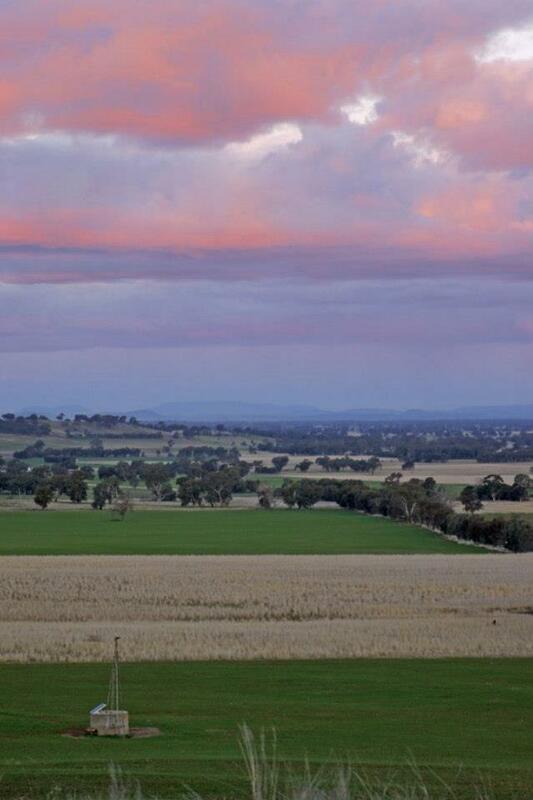 The landscape and Central Victoria's big sky country captures the hearts and imaginations of locals and visitors and truly inspires a regional wine and dining experience.